He had absolutely no business playing a room this small. It was as if the promoter somehow lucked into booking Nathaniel Rateliff at The Earl way back when the bearded soul man was only but a glimmer of hope - long before he burst on to the national scene with a hit song and his sweet throwback sound. I don't know if the actual timeline unraveled this way. But it wouldn't surprise me. The show sold out far in advance. America knows Rateliff. And just a few days prior to taking the stage in Atlanta, his band played, once again, to a national audience. This time on Stephen Colbert's Late Show. It sort of felt like we were getting one of those I-Was-There-When shows. Only I wasn't there when. I was there now. And my expectations were through the roof. The Earl is sort of a dump. But, generally speaking, I like dumps. Especially dumps with the best boiled peanuts in all of the south. Trust me. The unspectacular music room in the back of this famed East Atlanta bar only holds about 300 people. But it's intimate. And the sound is far better than decent. On the negative side, nights like this get cramped. It gets hot. And when you leave The Earl you smell like you just rolled around naked in a novelty, human-sized ash tray. But, otherwise, it's a great little room. You go for the grime. And it's remarkably special for a big show like Nathaniel Rateliff & the Night Sweats. The stage is small. The ceiling is low. And the old wooden floor clomp clomp clomps with the pounding boot heals of excited fans. Unfortunately, these aforementioned fans also tend to talk a lot at Earl shows. Alas, it's not the most polite music environment. I've actually seen one band literally stop playing and scold the audience. So, I definitely have a love/hate relationship with this place. However, on this particular night, despite the requisite chatter, at least there was loads of positive energy. That's step one for a good show. Step two is a Jack and Coke. I had one at the end of my wrist. We were ready to go. At 10:45pm, the band finally came out to the stage. First the Night Sweats. Then Nathaniel Rateliff. And they opened with the same single they had just played on Colbert. It's an upbeat tune called "I Need Never Get Old," and it absolutely cooks. Before he even belted out the first verse, Rateliff was gearing up, asking over the mic for whiskey and soda. And, from the look of his eyes, I guessed, perhaps, he had already had a few. As least I hoped so. I like it when a musician can tie one on and still completely keep it together on stage. That takes commitment and years of practice. And, besides, good soul singers shouldn't be sober. But who knows. Maybe he was just getting started. Later in the set, he mentioned to the crowd that, the night before, he had polished off a full bottle of Old Grand-Dad bourbon by himself. From the first note to the last, the energy never died down. It was pure rock 'n' roll and soul, anchored by a legitimately qualified front man who sipped from the same stream as Otis Redding. There was also a really strong performance from keyboardist, Mark Shusterman. That was the instrument on which I really found myself concentrating. For certain, all of the band members were quality musicians. But it was one of those situations where the whole was greater than the sum of its parts. Which - to be clear - is a compliment. To my ears, Rateliff and Shusterman were the standouts. Unfortunately, though, we really only got to see Rateliff let loose on his guitar during one song - a slower number called "Shake." Twice in that song Rateliff went into confident solos, and I was actually wondering why he hadn't stepped out to bend the strings more often throughout the performance. He's got chops. And he should be showing them off. For me, in addition to "Shake," the best song of the night was a mid-tempo groove called "Howling at Nothing." All in all, there weren't any bad moments. These guys absolutely know how to bring it, and there was plenty of groove to keep everybody dancing. But it also felt a little too safe and structured. Especially when the band busted out their big tune, "S.O.B." To be fair, it's a great song. Nay, it's a completely spectacular song. Catchy as hell. Beautifully composed. And they nailed it on the record. But sometimes the problem with hits is that ... they're hits. And, particularly for newer bands with limited catalogues, they can become a musical crutch. Like using it to close out a set. The theory is: Keep the fans waiting, build anticipation, and then crush 'em at the very end with the song they all know. That's always been a little weird to me. Too easy. Too expected. But I'm also sort of an overly-particular music douche. Nevertheless, they closed with "S.O.B." and walked off stage to the crowd chanting the song's signature tag "Oh oh oh oh" until the band finally came back and picked up where they left off. Admittedly, it was kind of a cool callback. Then they played one more tune, ending the encore with a great rendition of The Band's "The Shape I'm In." And - somewhat surprisingly - that was that. I had to glance down at my watch. It had only been an hour. I think it's a compliment - I hope it is, anyway - to say that their set simply wasn't long enough. I wanted it to keep going. If you're headlining, you gotta play for more than an hour. Hell, my old band used to play for longer, and our greatest musical talent was only that we owned actual instruments. Surely, then, the Night Sweats could've gone the distance. Maybe I'm reading too much into it, but the short set rather supported the notion that maybe this was a band who simply didn't see so much success coming so soon. Which is a wonderful problem to have. Rateliff even said one thing in the middle of the show that immediately gave me pause. While announcing the next song, he casually mentioned, "Here's a new one that's not on the record." That's the part that got me. This band put out a fantastic debut album. They had a deserved hit song. And now they're a national touring act ... safely playing the same exact setlist night in and night out. Apparently for about an hour. Make no mistake, these guys have an absolutely incredible sound, and they struck a match over something special at the perfect right time. The fire is burning bright. But they need to start throwing caution to the wind - placing new, unfamiliar wood over the flames - so, over time, this great inferno of talent and success doesn't get doused in the waters of familiarity and stagnation. 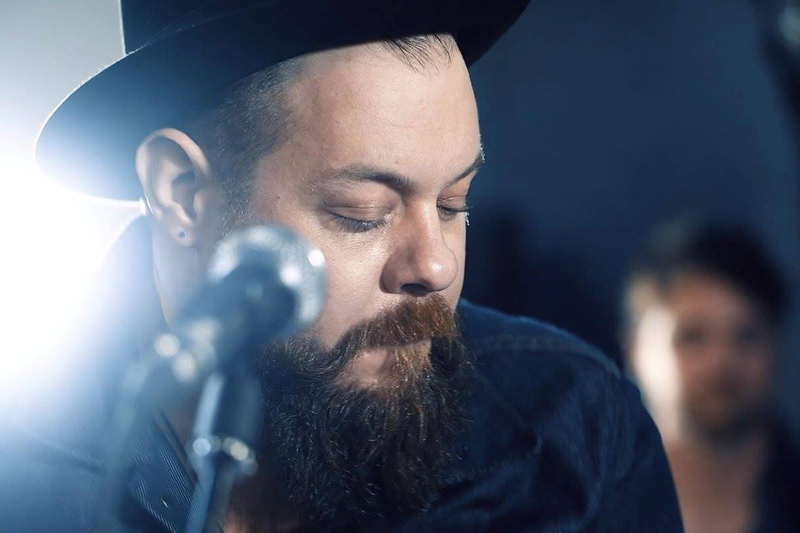 When it comes to Nathaniel Rateliff & the Night Sweats, their legacy hinges on what they do next. Both on stage and in the studio. It's all about how they grow and move on from that one thing. Jesus Christ, do you always complain so much? The Earl is one of the coolest venues in Atlanta. Hot, sweaty, hungover, and smokey venues is where this music is from. Be grateful you had this opportunity. "The Earl is sort of a dump. But, otherwise, it's a great little room. You go for the grime. And it's remarkably special for a big show like Nathaniel Rateliff & the Night Sweats." It's a beautiful place, having such an open and joyous feeling to it. It's totally amazing! This is definitely a wonderful place to spend time. It's plenty fun to sit at venues in Chicago and enjoy food and drinks with amazing conversations.